Provincial Visit to Iona. Members of KSC Liverpool Province, wives, friends and family embarked on a short holiday coach trip to the Western Highlands and Islands in September. The highlight of the holiday was a visit to the Isle of Iona, the place where our Patron, St Columba arrived from Ireland in 563, established a monastery and from there brought Christianity to Scotland and further afield. He died on Iona in 597. The magnificent Abbey stands as a testimonial to his memory but it was to a less significant building nearby that our party made its way. This was to Cnoc a’ Chalmain, The Hill of the Dove, established as a House of Prayer under the auspices of the Catholic Church and officially opened by Cardinal Keith O’Brien in 1997 the 1400th anniversary of St Columba’s death. It has been managed from its conception by Sister Jean Lawson who received considerable help and encouragement in its establishment from Mrs Frances Shand Kidd the mother of the late Princess Diana. The project is supported financially by providing guesthouse accommodation with one of the rooms also used as a chapel. It was in this room that our party attended a special Mass for the occasion, concelebrated by our Chaplain Rev Fr Tom Wood and Fr Atli Jonsson Chaplain of Council 146, Southport. We are extremely grateful to Fr Tom for making the prior arrangement for the Mass, to Sister Lawson for providing the use of her House of Prayer and to Fr Atli for assisting. Anyone wishing to know more about this wonderful place on this enchanting historical island can visit the website www.catholic-iona.com The rest of the holiday took us to Oban, Inverary, Seil Island and many other areas of magnificent scenic beauty. Our thanks to the staff of Loch Awe Hotel, the Holiday Company Lochs and Glens Holidays ( www.lochsandglens.com ) and in particular to our coach driver and guide John Davey who acted beyond the call of duty to cater for all our requirements. 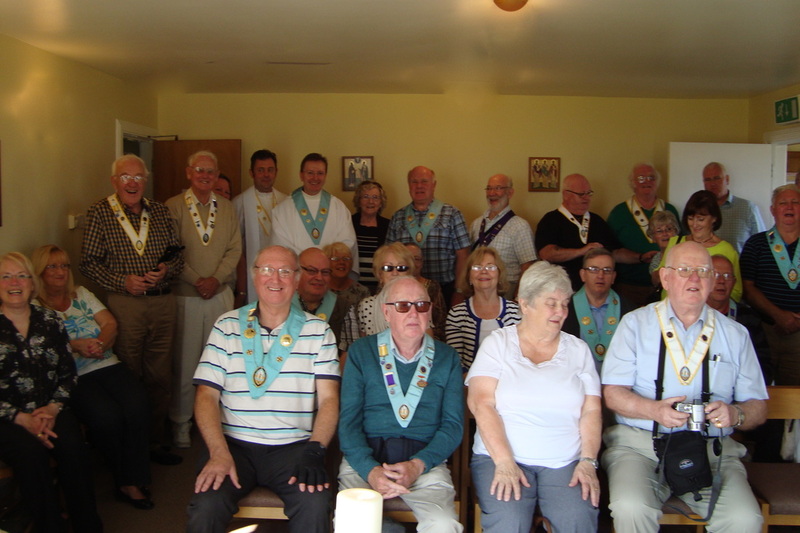 However, most of all we thank our Deputy Provincial Grand Knight Pat Foley who planned and arranged the trip in minute detail over many months and his leadership engendered an excellent spirit of togetherness for the entire duration of the holiday.